Home » Why Didn’t My Doctor Tell Me About UFE? Share the post "Why Didn’t My Doctor Tell Me About UFE?" Several women that have learned about the benefits of UFE wonder why their gynecologists can sometimes be reluctant to offer the procedures as an alternative. 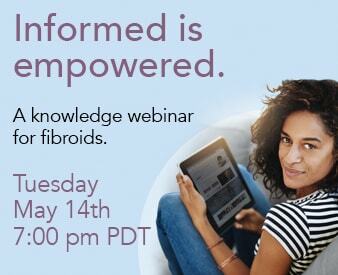 Why didn’t my gynecologist refer tell me about Uterine Fibroid Embolization (UFE)? The only option he gave me was a hysterectomy or a myomectomy to treat my fibroids. This question is quite complex, however there may be some contributing factors as to why your gynecologist may not offer UFE as an alternative. First, traditional training for gynecologists yields that hysterectomy is offered as the “primary” treatment for women who don’t want more children. Due to the idea that fibroids can recur after myomectomy and sometimes embolization, many gynecologists want to avoid the possibility of more unnecessary surgery. However, this thought is unjust in that it disregards the idea that many women, although they may not have plans to continue or begin child-bearing, DO NOT want to part with their uterus. Additionally, in some case, there is a disconnect between the two parties needed to carry out the procedure- the interventional radiologist and the gynecologist. Some gynecologists may lack an overall appreciation of the features and potential of UFE and may perceive it as a radiological alternative that can potentially threaten their own patient base. Moreover, gynecologists may lack the skills necessary to offer such minimally invasive alternatives and for this reason they may direct their patients toward alternatives that include open procedures in which they might be more content performing. Lastly, some gynecologists simply are uninterested in participating in the care of UFE patients or only offer it to patients that they believe are a possible candidate. Many gynecologists, however, fall somewhere in the middle of these reasons, but there is no real way to know why UFE is sometimes not referred as an option.